I discovered Marrakesh and Central Morocco via a small group organized tour with Nomadic Tours. Here is my detailed review: itinerary, guide, accomodation, food etc. I am satisfied with the tour we had, we were able to see a lot of different sceneries from busy Marrakech, to striking valleys and to the impressive sand dunes of the Sahara. Be aware though that to be able to see so many different sceneries, we have to spend alot of time on the road. I don’t mind because I love just admiring every detail I can through the windows but I know some might find this frustrating on a holiday. My only frustration about the itinerary is how rushed we were in the desert once the sun was just above the horizon. I was still taking pictures of the camels in the sun and was planning to turn around to take great shots of the dunes with the intensity of the morning sun rays on them but they were already climbing on the camels to move on. This is quite hard to take good pictures on the back of a camel and I would have appreciated 10 more minutes before leaving. 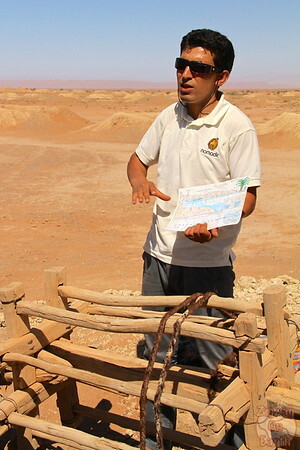 Almost all the places we visited on the tour are described on my Destination guide to Morocco. The minibus was in very good condition and the driver was cleaning it very regularly. 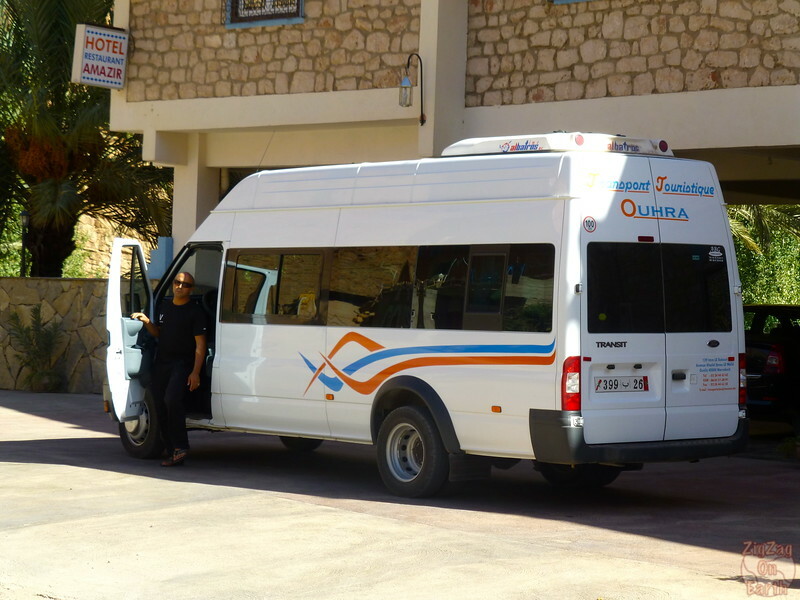 From what I have seen most tour companies use the same type of minibus. Our driver was quite good, very reasonable and with a soft way of driving. 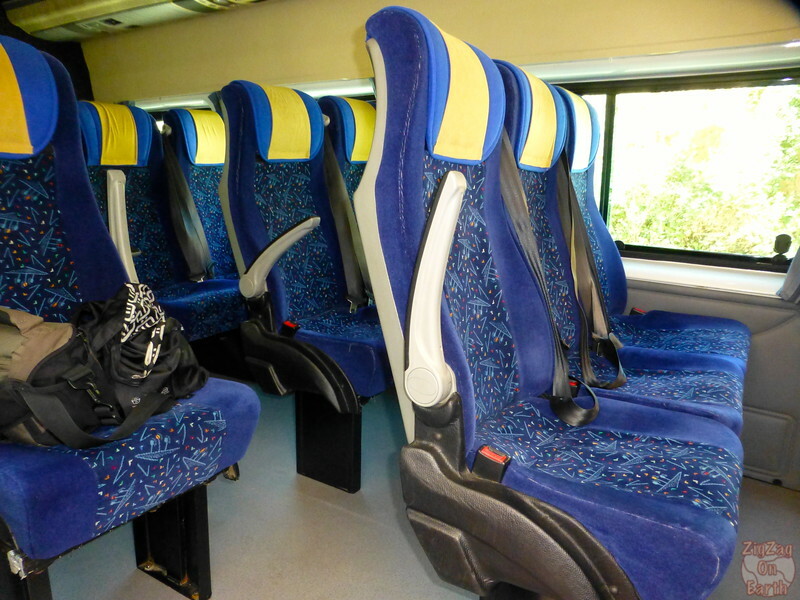 However, I have to say that the seats were not made at all for people with large body feature. If you want to attach your seatbelt, it gets quite uncomfortable with the buckle stuck on your thighs. The other ‘not so good’ feature of the bus is that the windows are slightly too low to get an excellent view. We had air conditioning in the minibus and everyone was able to adjust the orientation or close the fan above them. We just had to turn off the air conditioning when climbing up the High Atlas mountains. So in general, this was positive. Considering the price of the tour, I was quite satisfied with the hotels. They had a lot of charm. My least favorite was actually the one in Marrakech, but it was OK and only 20 min walk from the square. In the desert, we had big tents available. All of us decided to take our mattresses out to sleep under the stars. They had also blankets. Do not forget that it can get cold during the night! No showers there. However there were toilets. … yeah! I was just disappointed with 2 breakfasts but it was because the other ones were so great. I really enjoyed food during the whole trip: we had different kinds of tajine, couscous, Berber omelet, Berber pizza… and some nice fruits. Breakfast was also great with bread, eggs, crepes and all and sometimes freshy squeez juice.... yeah! I was just disappointed with 2 breakfasts but it was because the other ones were so great. There were no beverage included. Even bottled water during meals are not included. But we had plenty of stops to purchase water at better price that in the hotel (for shops count 5 – 7 dirhams for 1.5L and at the hotel 10-15 dirhams). Regarding alcohol, be aware that in a lot of place they do not sell alcohol. And in some hotels (including the one in Marrakech), you are not allowed to drink alcohol in the common parts. I must admit that during the starting meeting on the Saturday evening during which our guide Mustafa introduced himself and the week ahead, I got a little worried. But I am happy to report that I have been proven wrong. Mustafa was a very good guide, being with us enough but not too much, very knowledgeable and always focusing on our satisfaction. I was particularly impressed when he took back our purchases from the cooperative and clarified things with them. Not all guides would have taken the time to do it. To finish I would like to talk about my tour group.This is one of the reason I love small group tours, you get to meet great people. This time was no exception and it was a great week: a lot of vibrant discussions and a lot of good laughs! Little note: it seems that the checklist provided by Oasis overland is a general one for several countries and requires mosquitoes nets and vaccination which are not necessary for Morocco. I’m just organizing similar road trip and I’m curious how cold does it get on the desert. I’m going to Morocco on Sunday for 2 weeks. I watch weather forecasts but I suspect that the temperature in the desert might be perceived differently. How cold was during the night? Around 10 degrees or colder? I am not sure in degrees how cold it was. 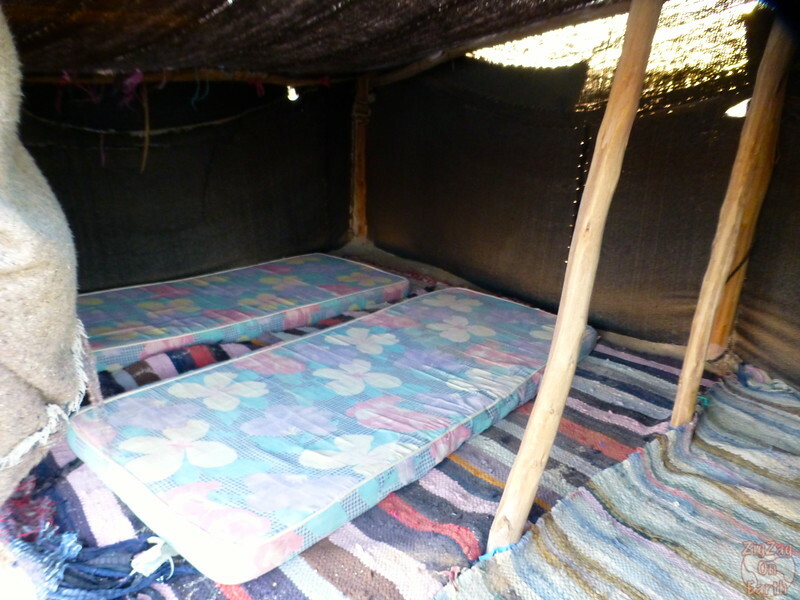 During my experience, I slept outside of the tent with long pants, a polar vest and 2 of the Berber covers we were given and I was OK the whole night (until the morning humidity). So it must not have been too cold.And with the protection of the tent, it would be even more comfortable. Welcome to morocco, in the new and updated tours information & resource site of the Camel Trekking Excursions company with experience in the sector of tourism, created to offer all you wish during your trip through Morocco and especially during your trip through the desert. Whether you are a traveller on an epic journey, looking for a short getaway, or dreaming of a life changing adventure, the new tours offerings were designed to fulfill your unique personal travel dreams and make each journey a memorable experience. This is a very helpful review, thank you. I realize this is 4 years later, but I am looking at all three of these tour companies for a solo trip to Morocco, are you saying they are all operated by the same company, because they all have different dates and seem to have different owners. Thank you again. At the time they were all using the same local guides/providers. We had people on the tour who had booked via all those companies.